The One Percent will film its first season in and around Northeast Ohio, with its base of operations in Canton, according to a Feb. 24 article in the Canton Repository. 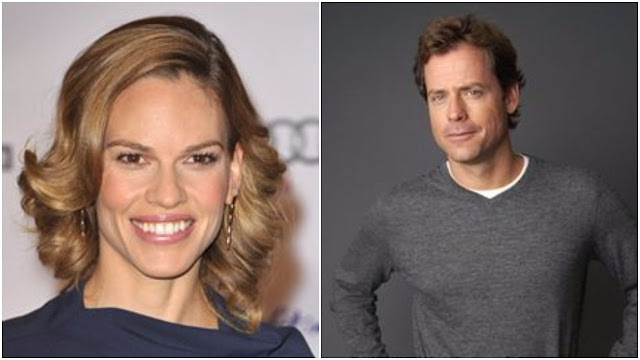 The show stars Greg Kinnear (Little Miss Sunshine) and Hilary Swank (Million Dollar Baby) as a broken family struggling to keep their farm from financial ruin, until a bizarre twist of fate changes their lives forever. Kinnear replaces Ed Helms, who was originally slated to play the beleaguered farmer and husband. Swank plays Kinnear’s spouse. Ed Harris, originally slated to play the family patriarch, may guest star if his HBO Westworld schedule permits. The One Percent was created and written by Alejandro G. Iñárritu, Alexander Dinelaris Jr, Nicolás Giacobone and Armando Bo. The four are best known for writing Birdman, which won them an Oscar. They will also executive produce. Iñárritu is also known for his direction on The Revenant starring Leonardo DiCaprio. Reports suggest Iñárritu will shoot The One Percent linearly and 100 percent on location.